Hello everyone, The temperature is 22 degrees this morning. Is your heat on at least 55 degrees? Is your water pump still on. Did you leave a window open when you went back to the city? These are some things you need to think about as the cold weather approaches. In the past twenty-five years we have restored and dried out hundreds of homes in southern Vermont that had been flooded due to broken pipes that were caused by the before mentioned conditions. It is also cheap insurance to contract with someone local to check your home once a week during the winter season for any problems.This past summer we have been extremely busy cleaning up mold infested homes. There doesn’t seem to be any shortage of these related claims in the northeast. If you have a basement,finished or not,chances are you have a high humidity problem. Old school thought was to open up basement vent windows and let the air blow through during the summer and close them in the winter. Hey folks, you are letting all the damp.humid air into your house. The rule today is to install a dehumidifier that is capable of drying the basement down to at least 50 % r/h. The dehumidifiers I sell work down to 45 degrees and are available with a pump out kit. No more dumping buckets. So, close the windows and control the indoor enviroment with a dehumidifier. This will eliminate your mold issues. Of course if you have a water intrusion problem that is another matter. Any mold questions can be answered at www.catamountcarpet.com If you have air quality issues in your home that has a hot forced air heating system, you need to have it cleaned and disinfected by a professional cleaning company. Not some fly by night operation. You can find out the right answers to ask at www.catamountcarpet.com Many people experience running noses,difficult breathing and itchy eyes during the heating season. It is because when the blower kicks on it circulates all the pollen,mold,etc that is in your duct work through out your home. Get the system cleaned and it will make a world of difference. Hello everyone, The phones stopped ringing in January and let me tell you it was a very uncertain winter. We had very little snow in Vermont and not much cold weather. 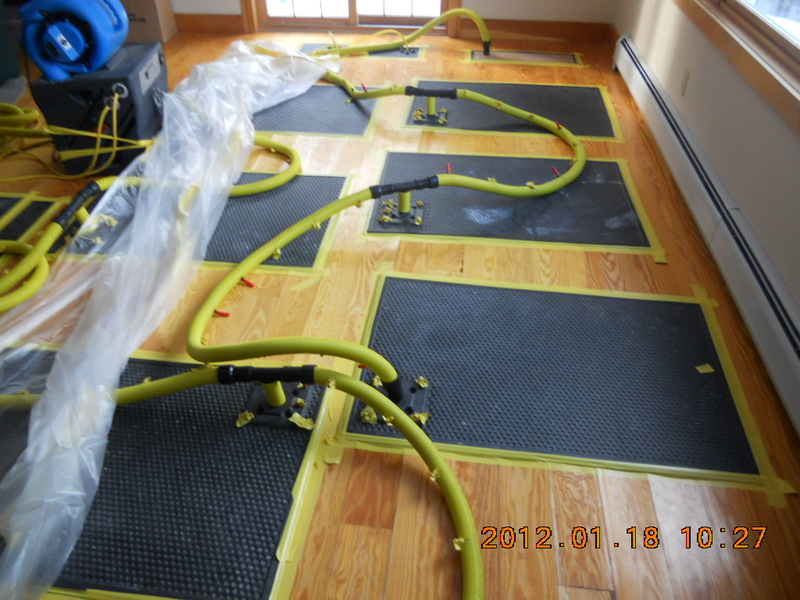 Our water damage restoration as well as our carpet cleaning fell off dramatically. A lot of businesses in our area are failing because of the devastation of hurricane Irene and the bad winter. We are more fortunate than most. I had laid off several employees in May , which is traditionally one of our busiest months for cleaning, after mud season. We were finding that nobody has any money in the area. The inns and resturants are barely surving and the seasonal rental market was way off this past winter. The phones are ringing and we have been booking jobs like crazy recently. It looks like we are over the hump. Jane and I spent six weeks in St. Maarten in April and May, so we are definitely recharged and giving it 100%. I heard from many of my peers in the restoration field and they to had a slow winter. We are continuing to do all the necessary marketing and it is paying off. Thats all for now . We are cleaning all the carpet in a local college this week end. Halalujeh! Hello everyone, We had been sucked into a false sense of belief that perhaps we would not have a snowy winter this year. Our only snowfall was in the end of October and we received 15 inches. The contractors in the area that rely on snow were definitely hurting. The lack of snow and cold weather has affected our business as well. Well, that all changed last night when we received about 8 inches of fresh snow and colder temperatures. We also had a mix of freezing rain and high winds. Everyone is happy today, so much of the local economy depends on snow here in southern Vermont. People are still recovering from the devastation from Hurricane Irene . It will take a long time for things to get back to normal. 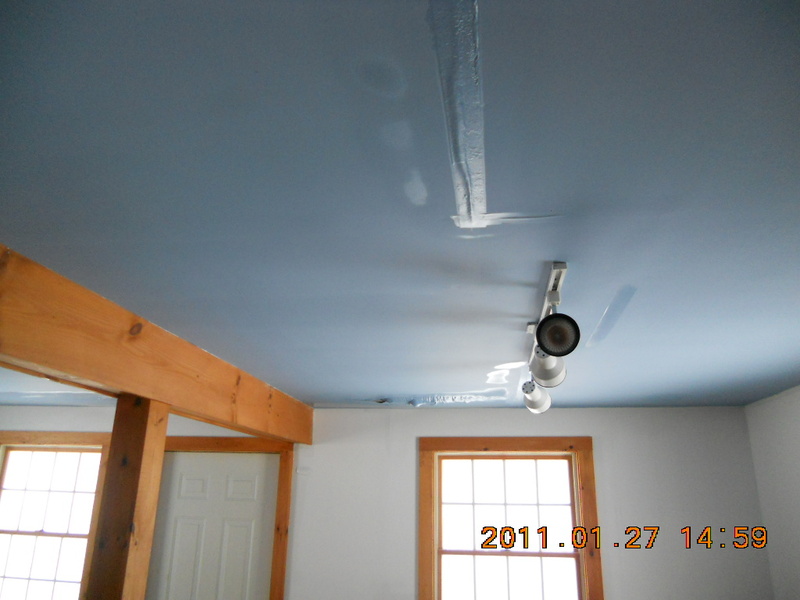 We had been extremely busy doing mold remediation work that appeared after the hurricane. Now that winter is here, be sure to take care of your property to prevent serious water damage . If you have a second home , the cheapest insurance , in my opinion, is to have someone check your home on a weekly schedule. There are low temperature alarm systems available to contact you in case the power goes out in your home. I suggest keeping the heat on 55 degrees minimum to prevent freeze ups. Shut off the water pump and drain the pipes by opening all the faucets. This will prevent thousands of gallons of water flowing like a river through your home.